I'm feeling colorful. Bright, cheery, and ready to leave the neutrals behind. A colorful accessory can really change your outfit and add some punch to a casual or dressy ensemble. 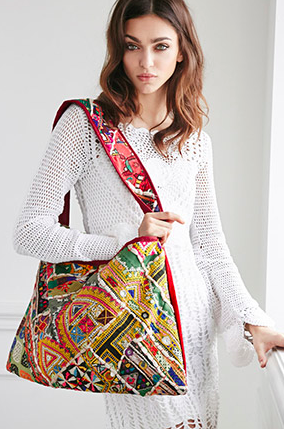 Let's look at some beautiful and colorful embroidered bags that are ready for vacation. 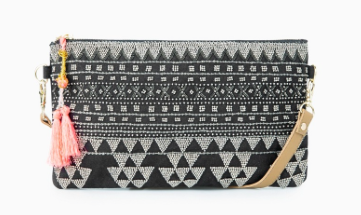 A touch of metallic and a touch of neon make this the perfect day to nighttime transition clutch. 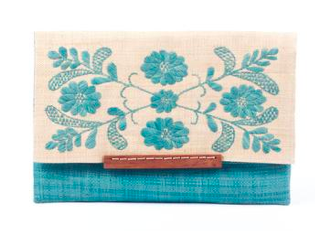 100% raffia, this clutch is ready for summer. So simple and feminine. Also comes in yellow or pink. Stunner. 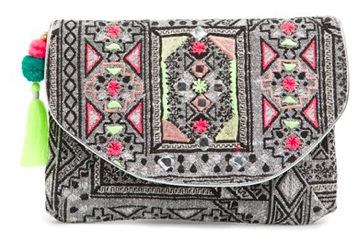 This little wristlet is gorgeous. I love the pop of pink with the zipper tassel. Can we just stare for a moment? A carryall option that is ready for the weekend. Embroidery will always be one of my favorite ways to add detail to any piece. It's intricate and classic no matter what color or pattern.